Are you and your spouse-to-be considering a destination wedding? If so, what kind of destination are you seeking- a forest meadow, the beach, a vineyard? If you are seeking travel for the big day, this helpful article, which has been submitted to us, might provide you with inspiration on where to tie the knot! Read through the topics and see where you might land. As we grow older, our family and friends often relocate to various cities across the country or we ourselves move away to far or near locations. During the early wedding planning stages, this distance often plays an important role in where your wedding will take place. If travel is inevitable for a large percentage of your guests, take the opportunity to plan a destination wedding to perfectly complement your style. 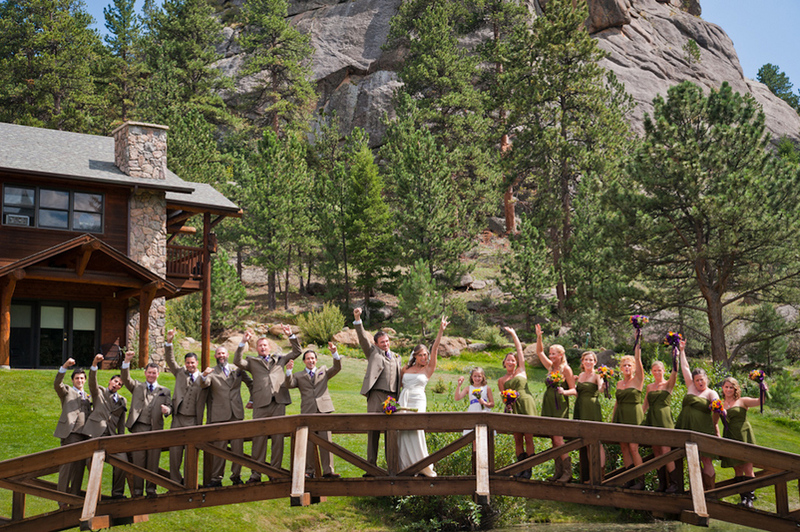 If you're an outdoorsy couple, nothing is more romantic than a beautiful mountain backdrop when you say your vows. While you want to appeal to your love of untouched nature, you also want to choose a location that is accessible and versatile for all members of the family. Where to Go: Wisconsin Dells, Wisconsin: Set in a beautiful gorge, Wisconsin Dells provides the perfect setting for couples who love spending time in the great outdoors. When to Go: Consider a date in the fall months to capture the beautiful colors of the canting leaves. The Perfect DIY Project: Create pinhole garden lanterns for varied and customized centerpieces. Where to Stay: There are several great Wisconsin Dells hotel options, but topping our list is Wilderness Hotel & Golf Resort. This fun-filled resort features a variety of on-site activities and conveniences while the cabins and villas create the feel of a private escape. What to Do: Be sure to check out the indoor waterparks! This unique attraction can offer hours of pre-wedding fun for guests young and old. 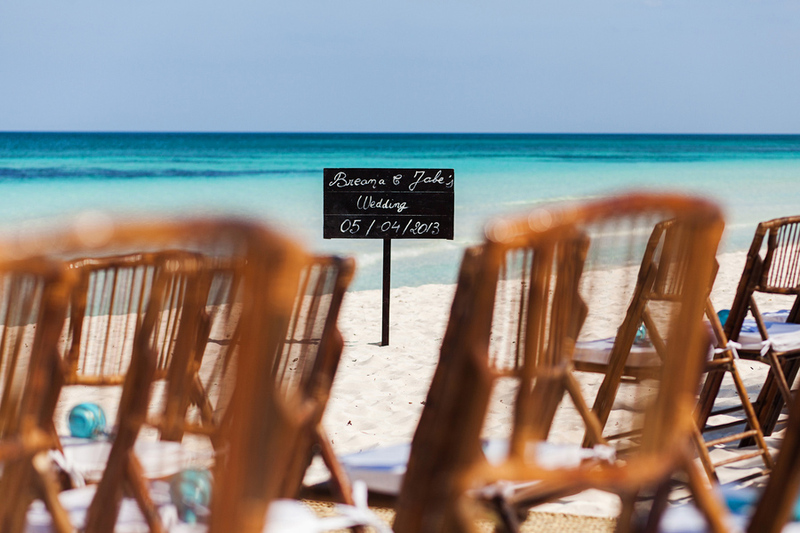 Beach weddings are popular right now, but can be a hassle and very expensive. Get your ocean-loving fix by going to a seaside town that is accommodating and more affordable. Where to Go: Newport, Rhode Island: From sailing to high-end shopping, this seaside destination offers the perfect mix of New England charm and old-fashioned glamour. When to Go: As with any waterfront destination, summer is prime tourism season, which means increased prices. Instead, pick bookend months, such as May or September. You will still enjoy a warmer climate without the hefty bill. The Perfect DIY Project: Make oyster shell garlands to use as table runners. This over-the-top garland will set the mood for a your seaside affair. If big and bold isn't your flavor, opt for a more simple display, using seashells to create table numbers. Where to Stay: The Vanderbilt Grace is full of history and charm. Built in 1909, this vintage mansion offers the splendor of classic Newport mansion living and prime location just minutes from the waterfront. What to Do: Land lovers can tour some of the world’s finest historic mansions, such as the Astor’s Beachwood and the Breakers, while your sea savvy guests can take to the water by sailboat or motor yacht. A stroll through a vineyard and a vintage Merlot, what could be more romantic? 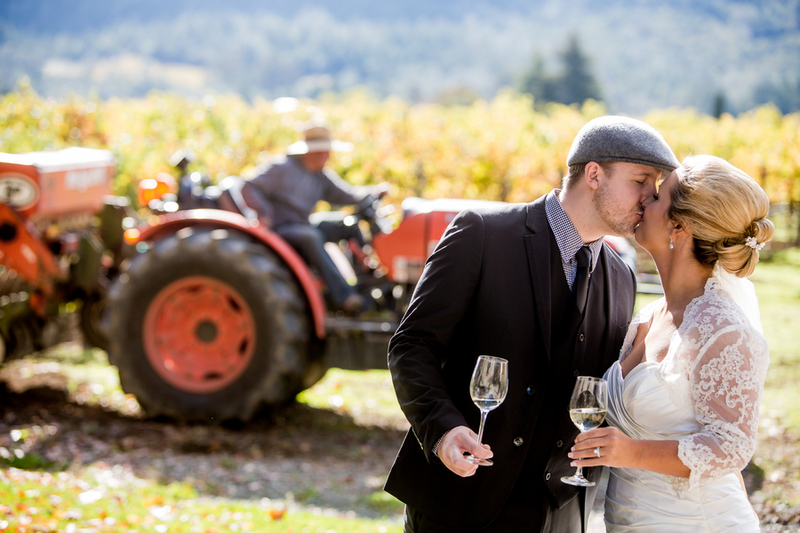 While California might come to mind when you are planning a wine country wedding, there are gorgeous vineyards all over the country that may better suit your needs. Where to Go: Texas Hill Country: Nestled deep in the heart of the lonestar state are some of the countries top vineyards. When to Go: While most vineyards harvest in September, Texas vintage is earlier, in August, due to sun and heat. Your best bet to a wedding with grapes on the vines will be in July. The Perfect DIY Project: Hurricane vases filled with wine corks can create a perfect romantic glow at each table. Not only will you have a beautiful display, but you’ll have fun drinking your favorite wines to build up your cork collections! Where to Stay: You will find a variety of bed and breakfast accommodations close to the vineyard of your choosing. Depending on guest count, you may need to make arrangements with several. What to Do: Tour the wineries of course! All three sound good to us! Are you inspired? Which destination suits you the most? Please share!